The 31st anniversary of the original release of Ant's solo debut album is marked with the re-issue of the album as an expanded 2 CD version. The album itself has been expertly re-mastered from the original master tapes by recording engineer and co-producer of the original album Simon Heyworth. The location of the original master tapes brought to light the previously unheard Lute�s Chorus Reprise section of Henry: Portraits From Tudor Times which was excised from track at the final stage of completing the album as it was felt at the time that the track was a little too long. This has now been restored to its rightful place on the album in order that the track can be heard for the first time in the originally intended form. The extra CD features a fascinating "behind the scenes" view of the initial stages of the recording of the album with the basic tracks of Ant and Mike Rutherford's original acoustic guitar parts for The Geese & The Ghost (Parts One & Two), Which Way The Wind Blows and Henry: Portraits From Tudor Times being mixed for the first time in isolation from the later overdubs that were added to the album. Complimenting these unique versions of the original tracks is the only unreleased track from the original sessions (a planned new version of the co-written Silver Song that never progressed beyond this initial recording), Ant's original demo of Collections (which was recorded for Charisma Records boss Tony Stratton-Smith in the Spring of 1974) and the original basic instrumental tracks of God If I Saw Her Now and Sleepfall. Last but by no means least the final track is the unreleased single version of Silver Song, recorded in November 1973 by Ant together with Mike Rutherford and Phil Collins which receives it's first official release. The re-issue features new liner notes with a detailed account of the making of the album including contributions from John Hackett, co-producer Simon Heyworth and cover artist Peter Cross together with Ant's own memories of the album. Rosanna Arquette also shares her memories of one of her favourite tracks on the album. 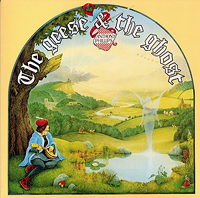 Complimenting the re-issue of The Geese & The Ghost is this re-mastered and re-issued 2 CD edition of Ant's second solo album Wise After The Event, which was originally released in 1978. 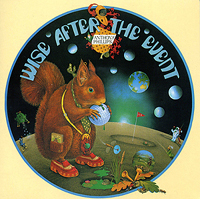 The album itself has been re-mastered from the original master tapes by Simon Heyworth and includes the non-album track Squirrel as an extra track on the first CD. The extra CD includes no less than 64 minutes of variations, demos and alternate versions of the songs from the album including some unique new mixes which have been made from the original multi-track masters especially for this release. Also included is the edited single version of We're All As We Lie which has not previously been available on CD. The extra CD charts the progression of the album from the home demo recordings of Birdsong, Moonshooter and Greenhouse (the latter also including co-writer Jeremy Gilbert), through the rehearsal sessions for the album at Michael Giles' studio in Dorset (the three demo tracks from these sessions highlighting the outstanding rhythm section of Michael and John G. Perry) to the final studio recordings at Essex Studios and the Farmyard. The re-issue features new liner notes with contributions from producer Rupert Hine, bass player John G. Perry and cover artist Peter Cross together with Ant's own memories of the album. 9. Now What (Are They Doing To My Little Friends)? The third of the album re-issues is Ant's sixth solo album the keyboard-based 1984 which was originally released in 1981. The album has been re-mastered by Simon Heyworth and is re-issued as an expanded 2 CD edition. The extra CD includes new mixes from the original 8-track masters which allow parts of the album to be heard for the first time in their original basic form. Also released for the first time is some of Ant's original music for the ATV Series Rule Britannia which was recorded at the same time as the album, the previously unheard keyboard piece Ascension (which was re-discovered on the original multi-track tapes during the research for this re-issue and has been mixed for the first time) and the 16-minute demo version of Poly Piece - a track originally written for inclusion on Sides and then considered by Ant as a possible track for 1984 in the formative stages of the album. The re-issue features new liner notes with contributions from recording engineer Chris David, the writer and presenter of Rule Britannia Dr James Bellini together with Ant's own memories of the album.